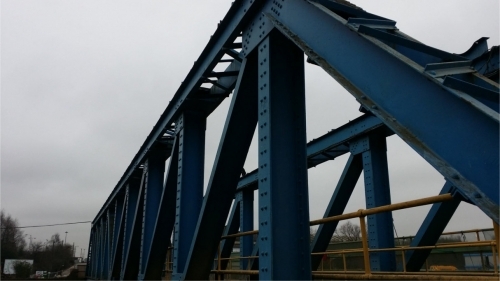 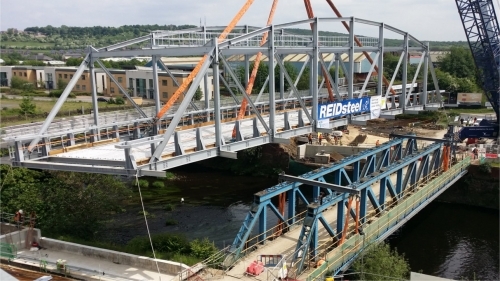 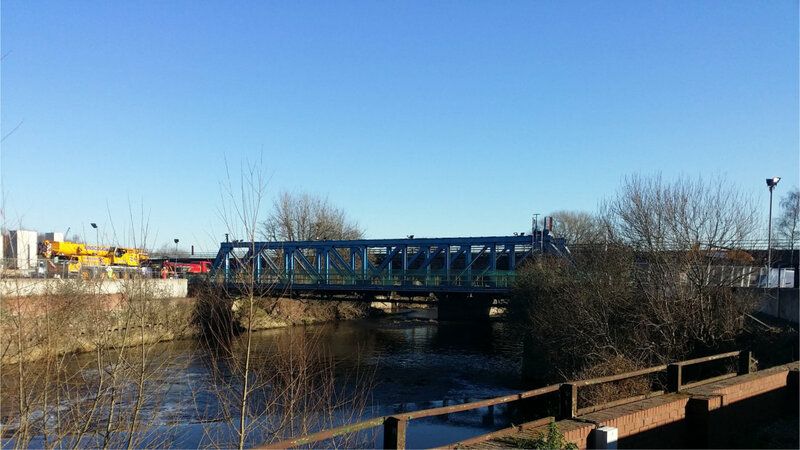 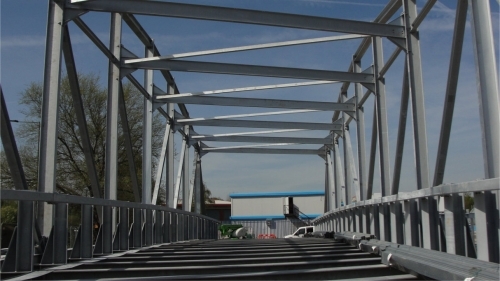 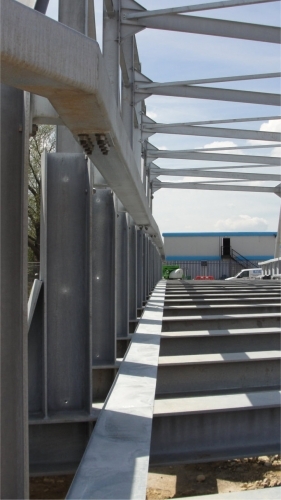 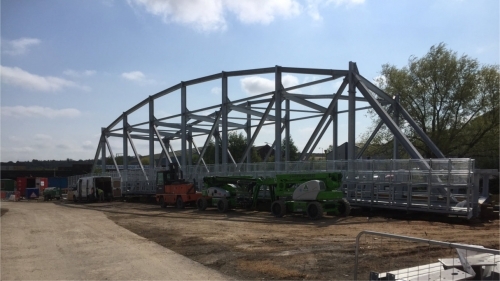 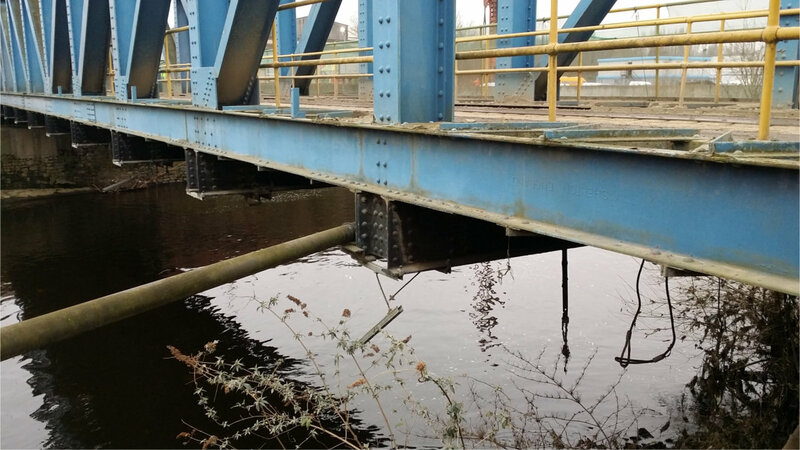 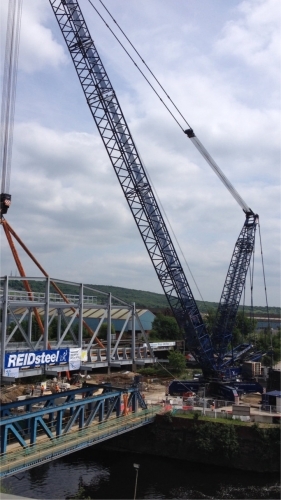 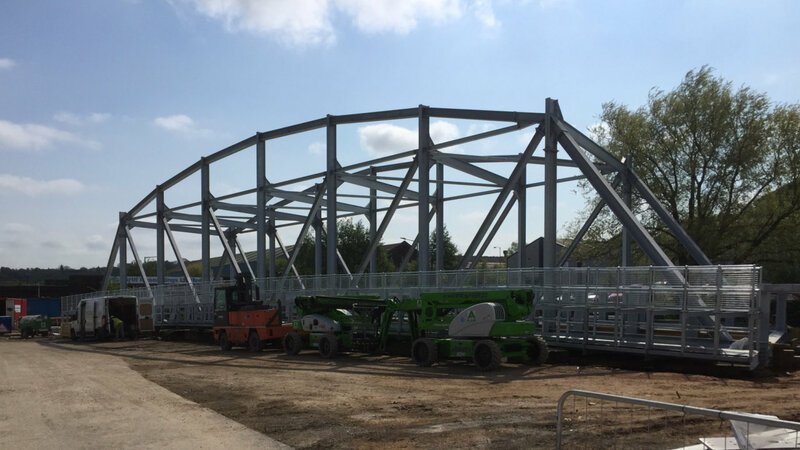 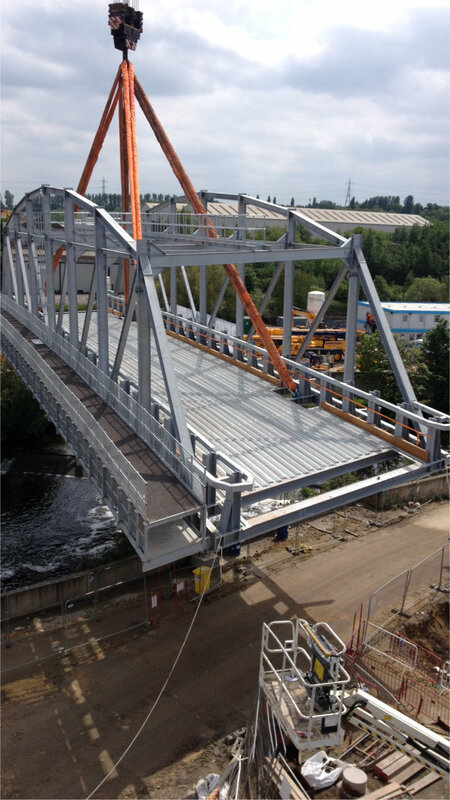 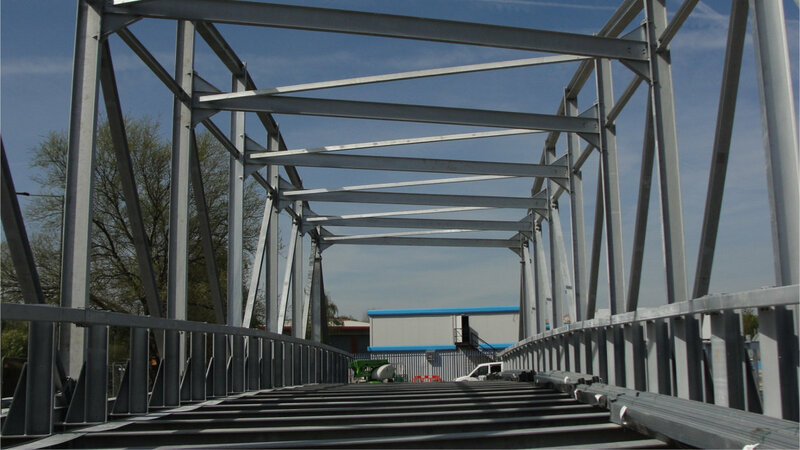 In May 2015 Reidsteel entered into discussions with Interserve Construction Ltd concerning the design, supply and installation of a skewed and cambered 45m clear span, 2 lane vehicle Access Bridge, over the river Don in Rotherham. The requirement for the Interserve bridge was to provide vehicle and pedestrian access to the new Templeborough Biomass Power plant, which when operational, will produce 41MW of green electricity for up to 78,000 homes. 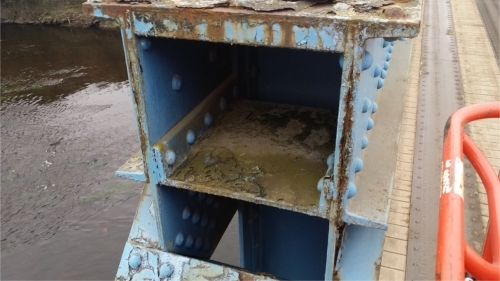 Although there was already an access bridge to the site, the existing structure was deemed unsuitable for the delivery of many of the major parts needed during the construction of the Power Plant. Furthermore, the existing bridge would not be able to provide service for the increased vehicular and pedestrian traffic once the plant becomes fully operational. 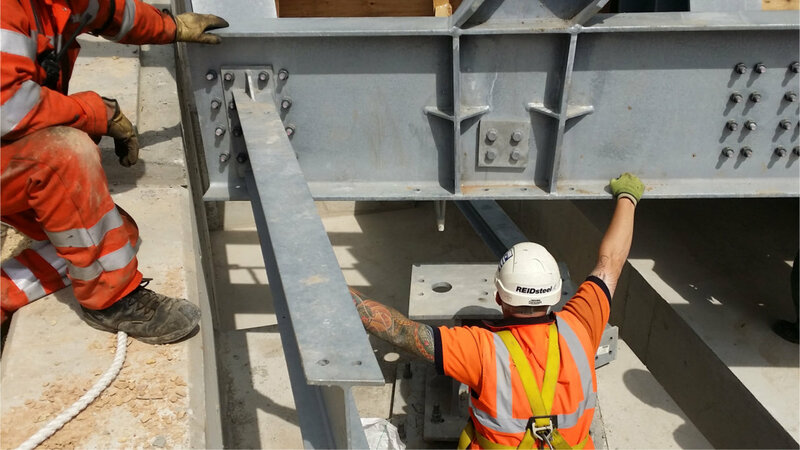 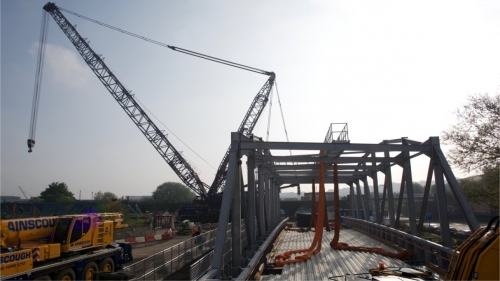 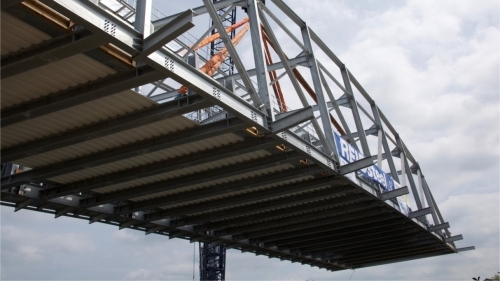 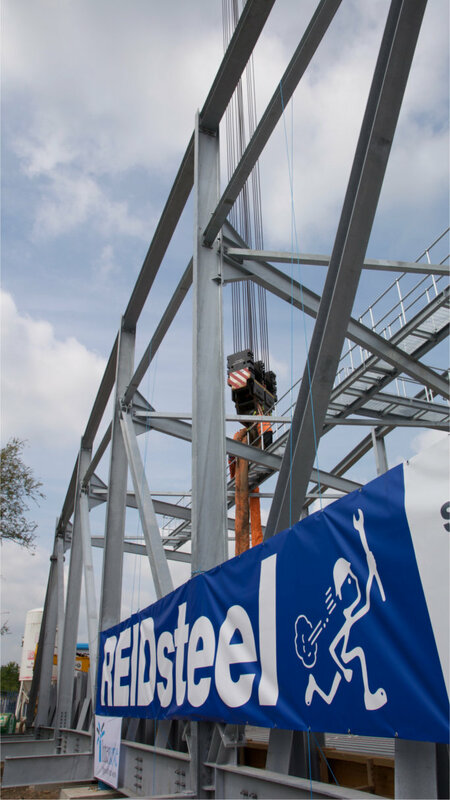 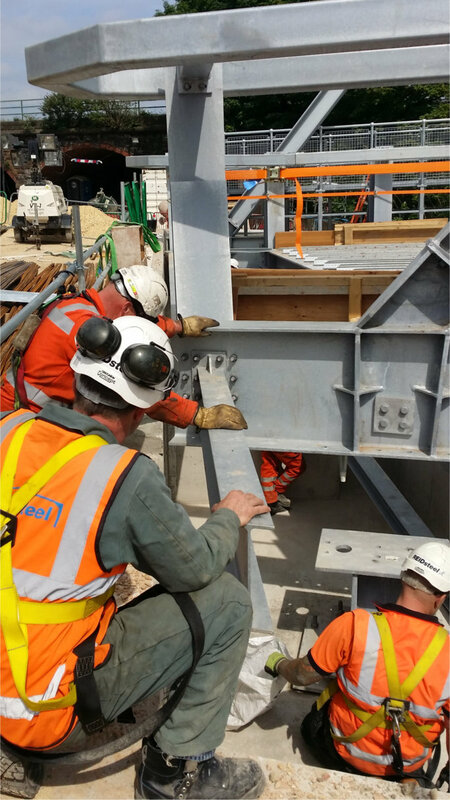 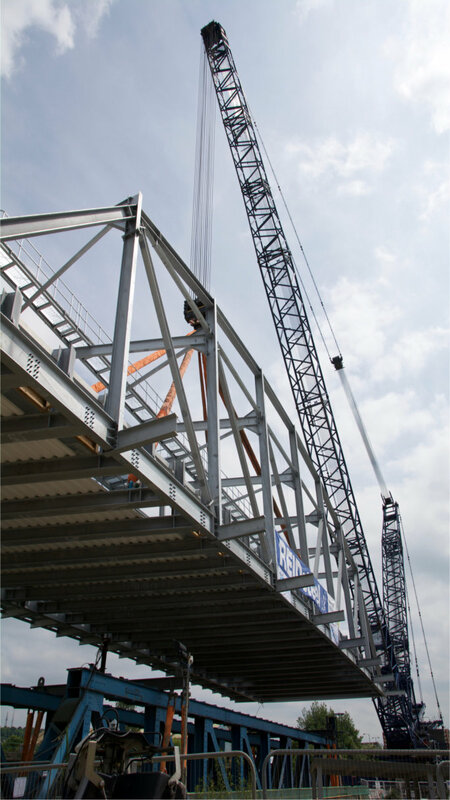 Due to the ingenuity in structural engineering that Reidsteel are renowned for, combined with a long history of providing bridges around the world, it was this pedigree of excellence which Interserve Construction Ltd looked to utilise. 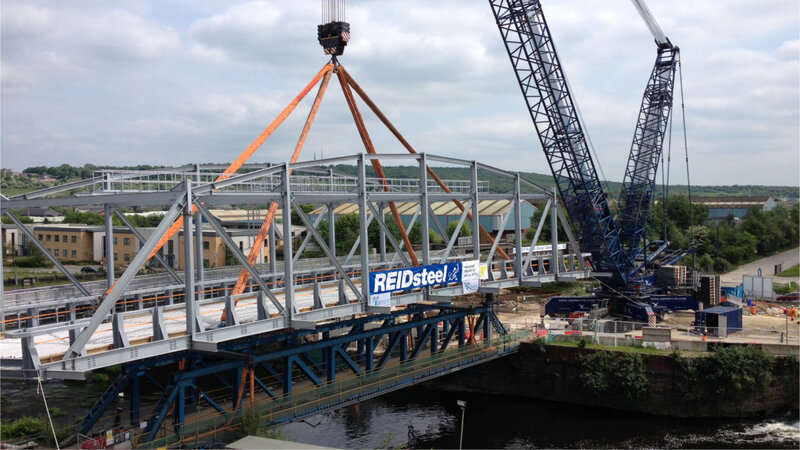 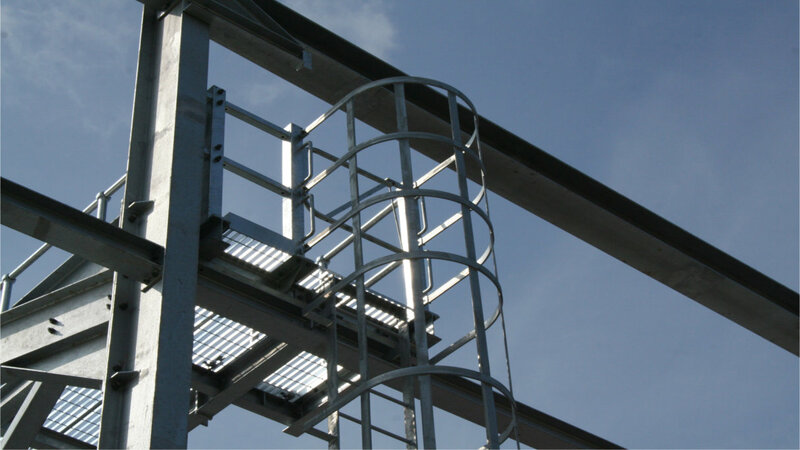 Subsequently Reidsteel were appointed to provide the new Interserve bridge at the Templeborough Biomass Power Plant. 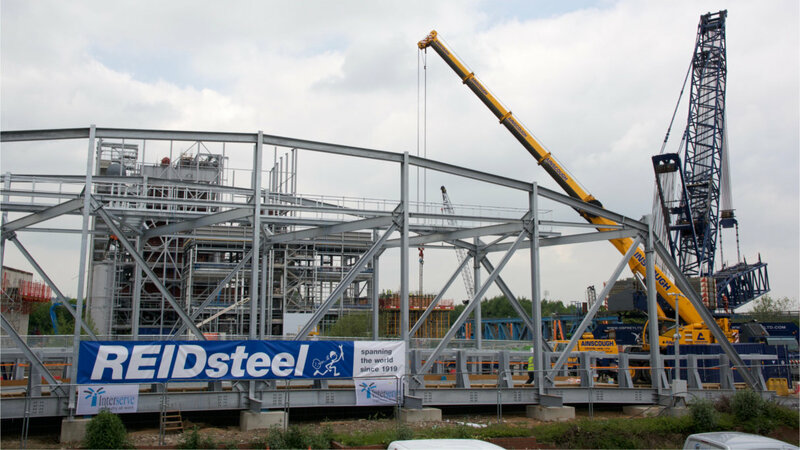 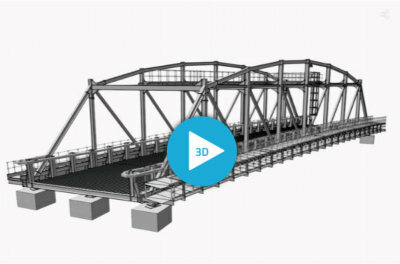 In tandem with a considerable amount of input from our experienced in house technical staff, the complex design made use of 3D Building Information Modelling (BIM) technology, allowing Reidsteel to share a detailed 3D model of the complex structure with the various companies involved on the project and its delivery. 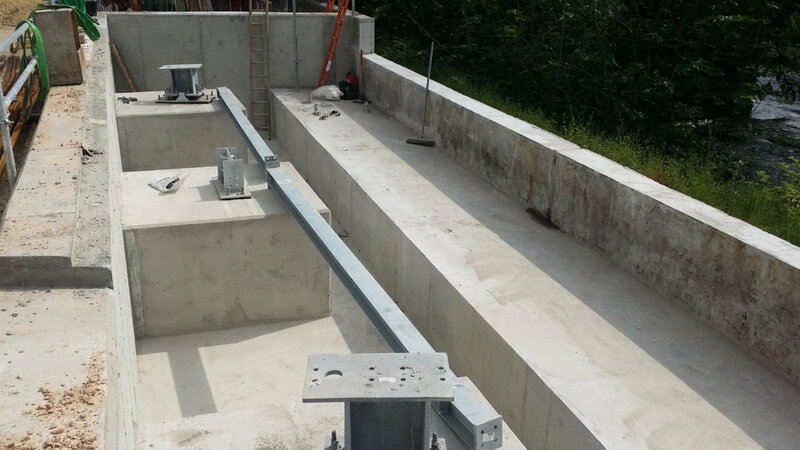 Through effectively utilising this level of detail in our design, Interserve Construction Ltd were able to accurately design and prepare the abutments and foundations with less than 100mm of spare room on each side. 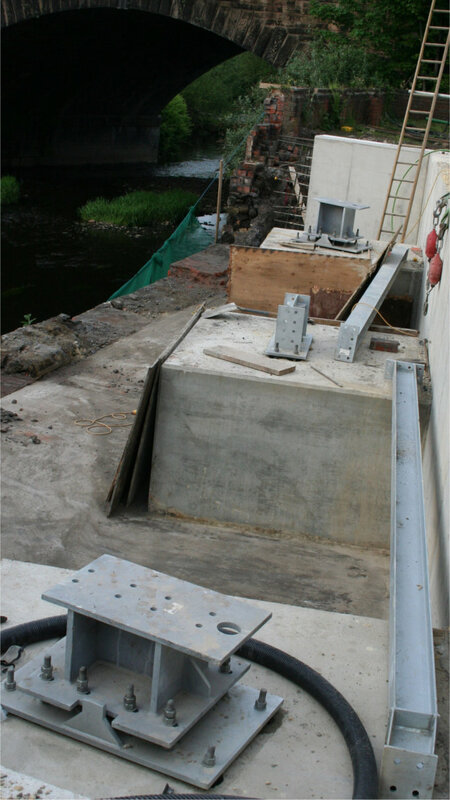 With this level of tolerance the bridge had to slot into these abutments and foundations like a key. 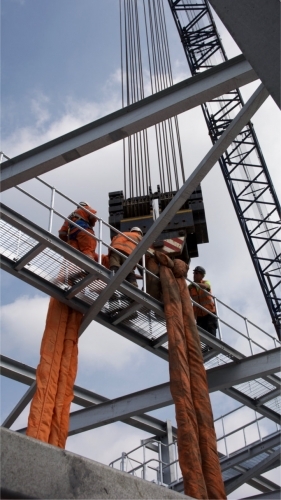 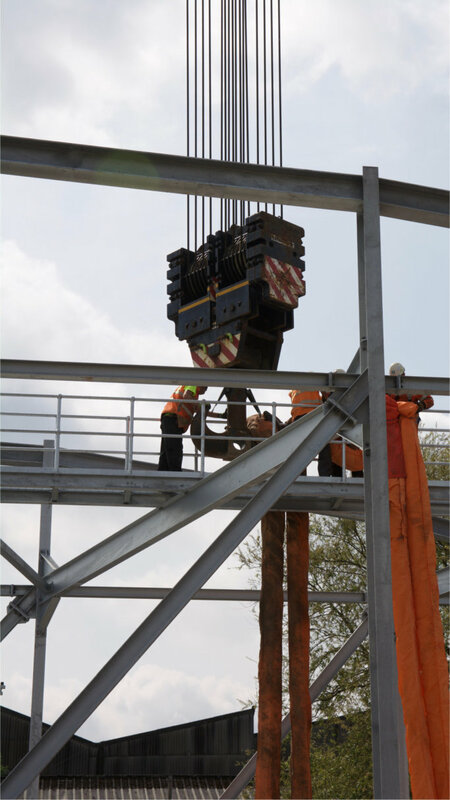 In order to lift such a gigantic structure onto its abutments safely with optimum accuracy required the use of specialised cranage and equipment. Such specialist equipment is not that readily available in the UK, so this had to be thought out in detail and planned for months in advance of the sequenced lift date. In addition, detailed advance planning was also undertaken by Interserve Construction Ltd to prepare the site ready for our arrival on site to assemble the bridge – Along with the liaison between themselves and organisations separate to the project, but carrying equal significance to the project were the EA (Environment agency) and Network Rail. 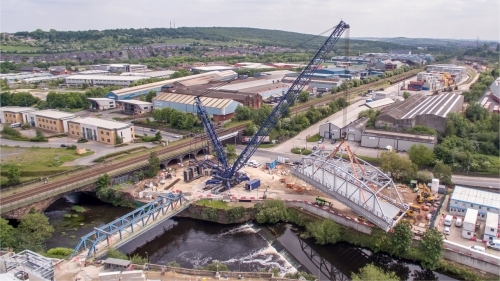 These bodies were notified as the ‘Big Lift’ was to be conducted over the River Don and in close proximity to a major heavy goods railway line running adjacent to the lift zone. 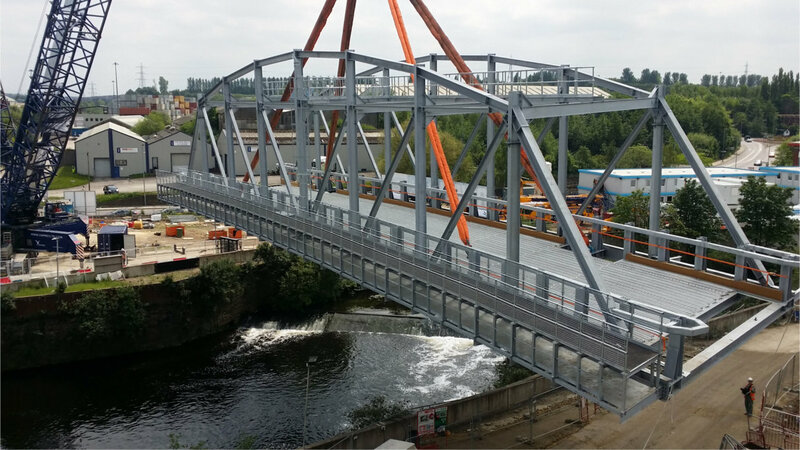 Once the designs, the lift plan and the site were ready, assembly of the new prefabricated bridge structure commenced – this activity took just 4 weeks to complete. 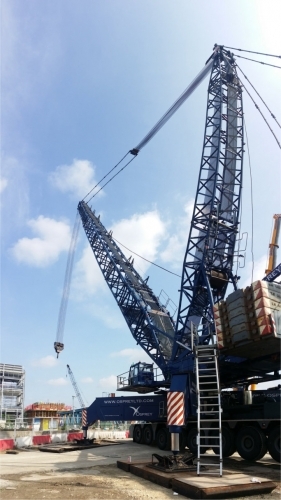 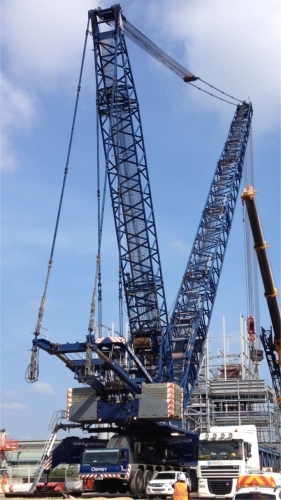 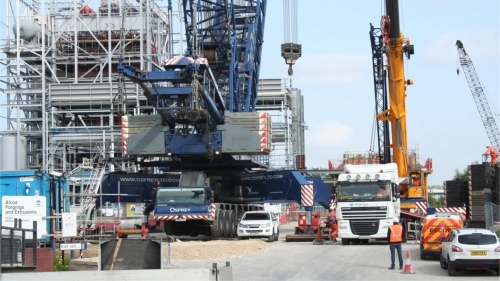 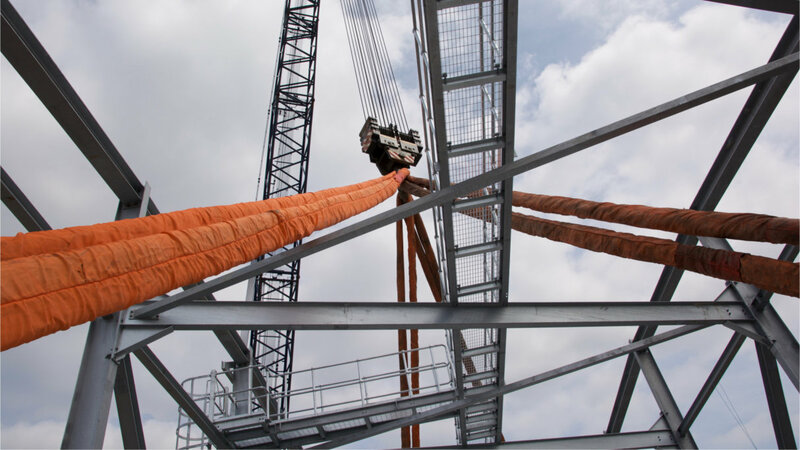 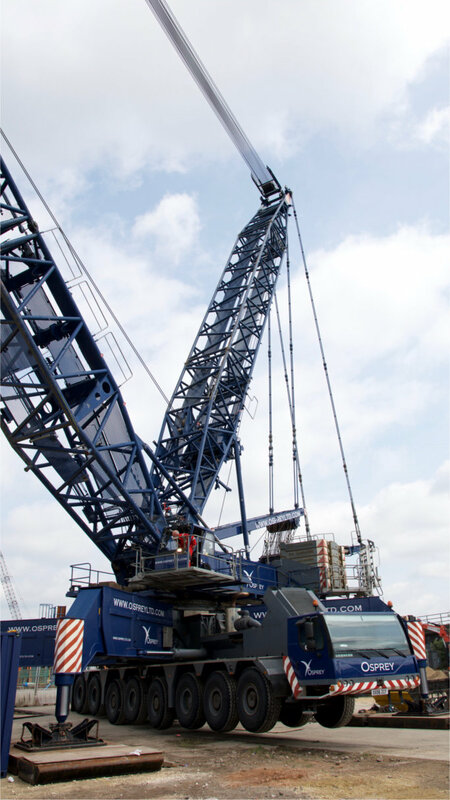 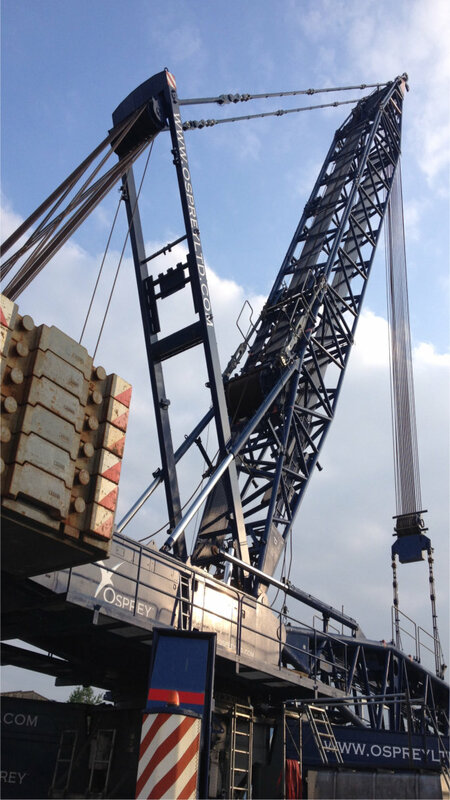 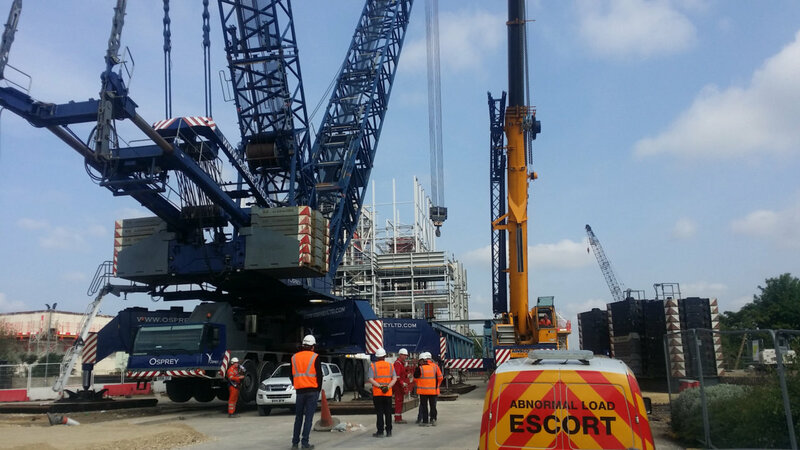 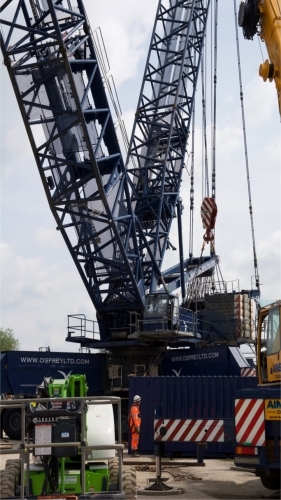 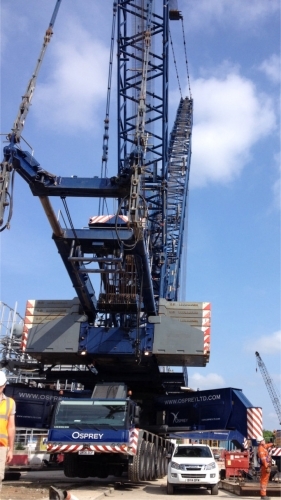 Once the structure was made ready for the lift, the ‘Massive Crane’ an LG 1750 complete with all rigging equipment was brought to the site in sections by an army of vehicles and an expert team of riggers and operators from Osprey LTD. 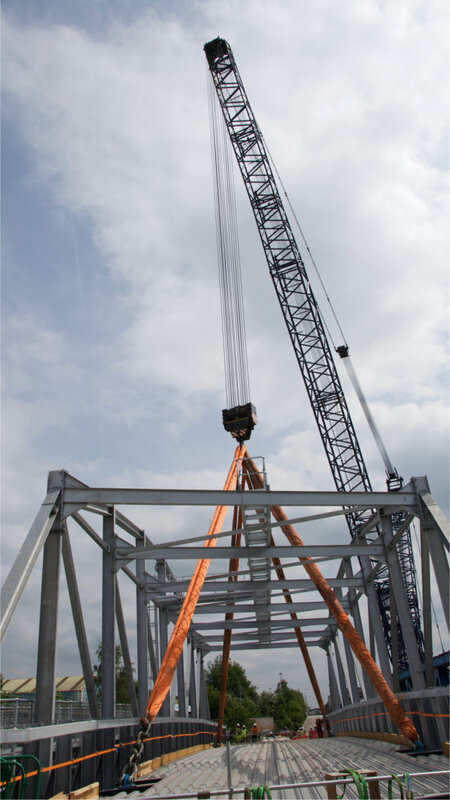 When the bridge was attached to the lift rigging equipment and signified as ready for the sequence to begin, the structure was raised steadily from the assembly blocks 6 meters into the air above the site. The crane gradually begun to slew the bridge across the site, passing over the River Don and the existing bridge, eagerly watched by all on site as well as spectators from the Sheffield Road site entrance, witnessing this engineering spectacle arriving above its final position prior to being lowered into place. 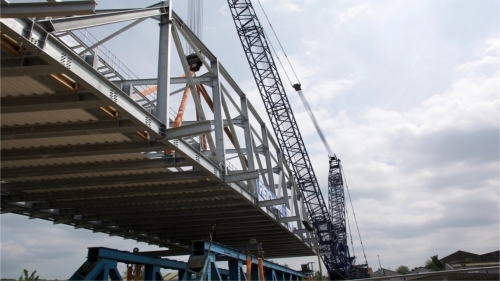 Once clear, the bridge was lowered down into its tight foundation slots. 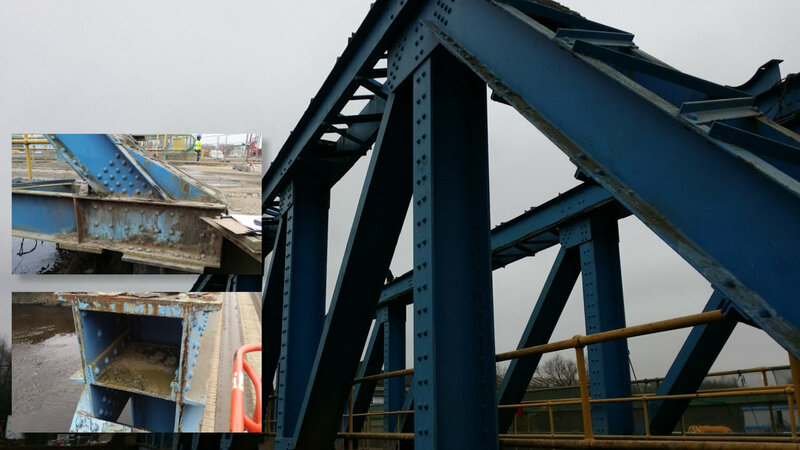 Milled steel cones found their location holes in the foundations and guided the bridge down into its final precise position. Reidsteel staff bolted the bridge to the foundations and removed the strops. Within minutes the concrete contractor was working on the bridge preparing for the concrete road surface to be poured. 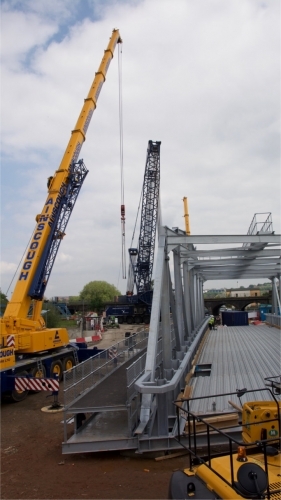 Later on during the same day of the ‘Big Lift’ (circa 12 hours later) the LG 1750 crane was hooked up to the now defunct old bridge and made ready to undertake its removal. 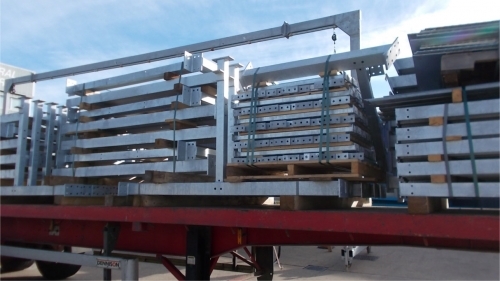 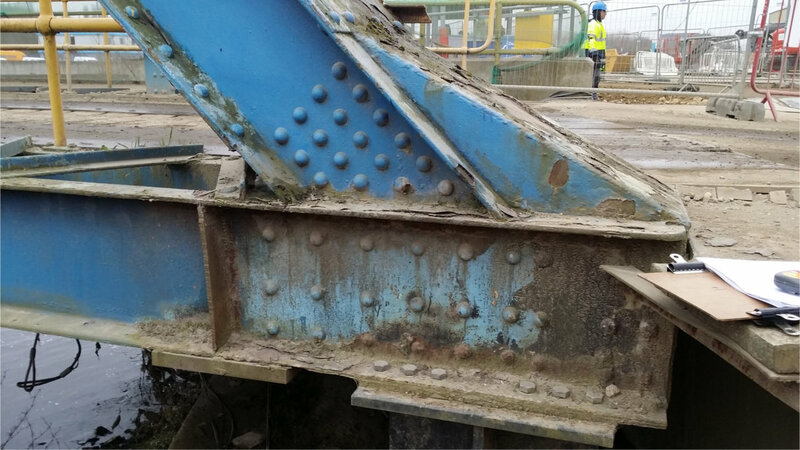 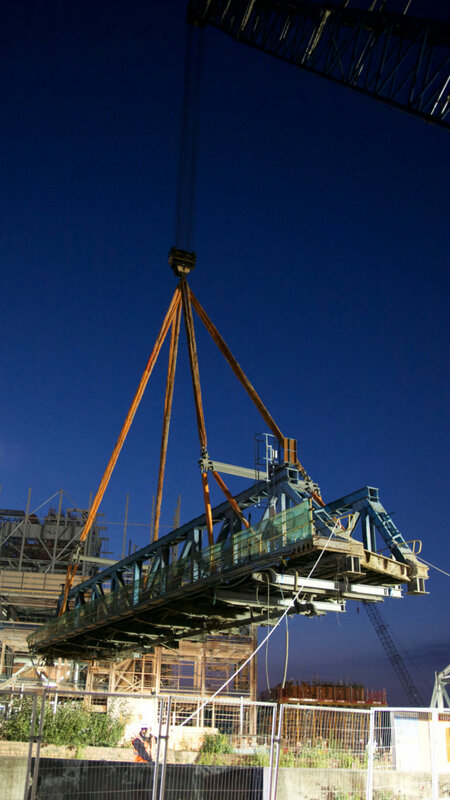 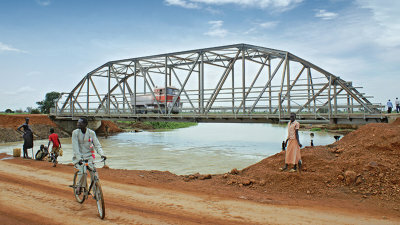 A purpose built, Reid engineered lifting cradle took the strain from the strops and the old, dilapidated bridge rose smoothly into the air – it was then expertly slewed round to the assembly area used to construct the new bridge, where it was left to be cut up and taken away for scrap recycling. 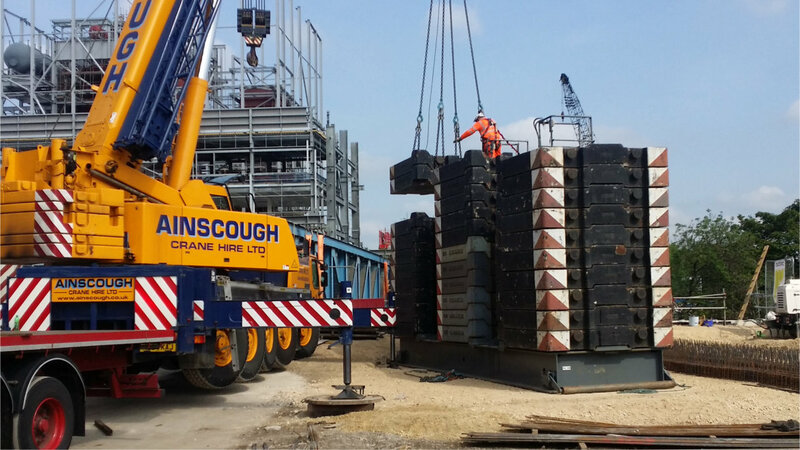 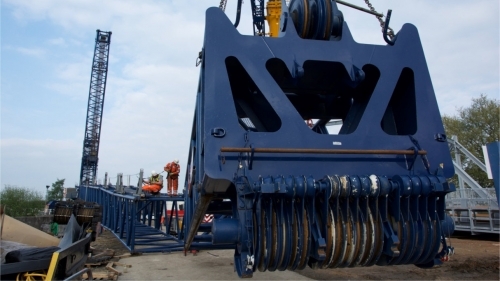 The specialist lifting operations were all carried out within a day, leaving the site free to resume work. 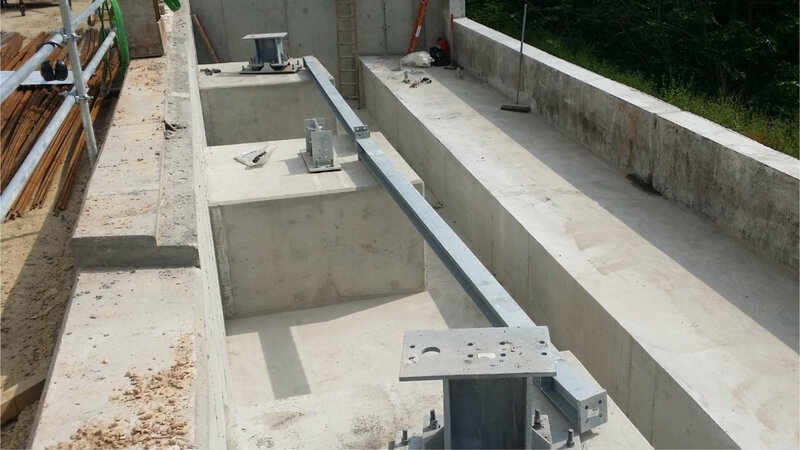 With the new highway-standard bridge on site, the project could now proceed with bringing its 130 ton turbines across the river. We at Reidsteel are all very proud of our part in what we hope will be a successful development for Rotherham. We thank Interserve Construction Ltd for all their hard work and organisation that enabled us to make such a success of this most challenging project.